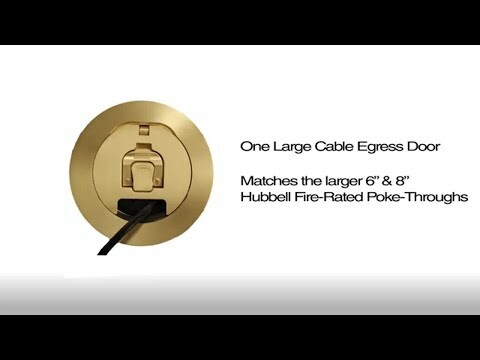 Hubbell-Wiring ScrubShield® SystemOne Fire-rated poke-thru device in aluminum color, comes with Hubbell-Wiring SystemOne A/V floor fitting and Hubbell-Wiring SystemOne furniture feed cover plate. 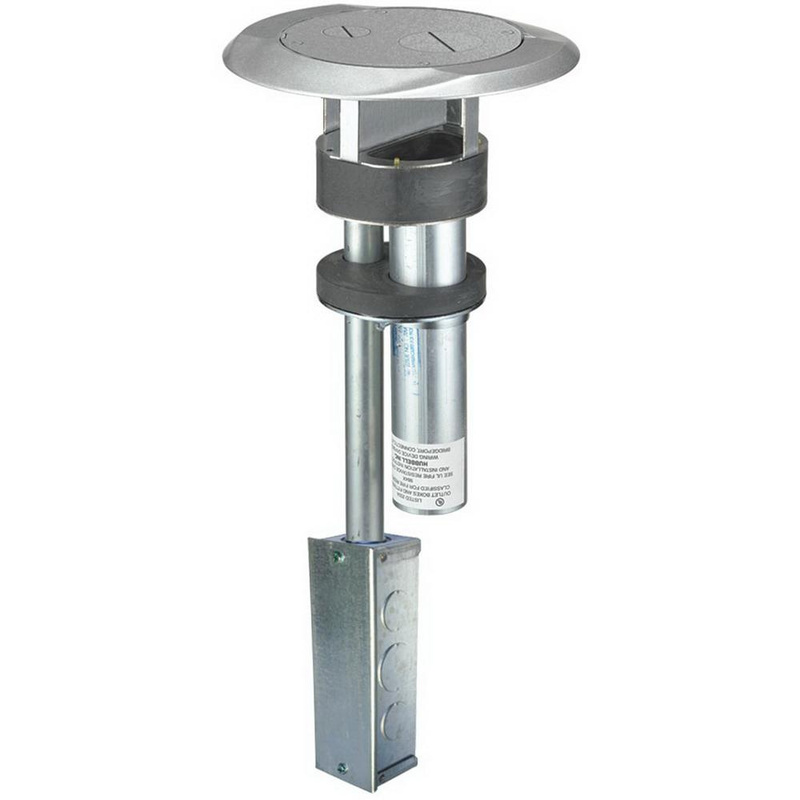 This one-piece device with junction box, provides one 3/4-Inch conduit for power and one 1-1/2-Inch conduit for low-voltage. Device is UL/cULus listed.